Periodontics is the specialty of dentistry that deals with the gums and bones surrounding your teeth. Your teeth rely on your gums and bones to provide a strong foundation. Regular check ups and cleaning are an important part of keeping your gums and bone healthy. The gums and bones act as a foundation for your teeth. 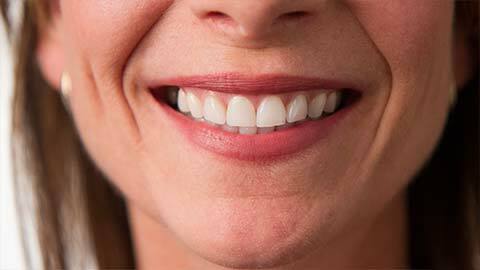 Find out more about the services we offer to keep your whole mouth ready to smile. Gum disease could lead to teeth becoming looser, as well as pocketing, infection and the early loss of teeth. It’s important to manage gum disease with early detection and regular treatments. Regular professional cleaning by a hygienist is also essential to keep your gums and bones healthy. Alloderm: Alloderm is a way to graft regenerative tissue onto your gums to help them become healthy again. It can cover the roots around teeth and augment the gums. Alloderm supports regeneration by letting blood flow back to the area and improving the cells in the area. It actually transforms into host tissue that is strong and natural. Bone Grafting (ridge preservation): When a tooth is lost, it creates an opening in the bone. The bone is used to being stimulated by the tooth root, so without the root, it starts to collapse and shrink. You don’t want to have too much bone loss because that could make it impossible to put in a dental implant later. Instead, we want to preserve the bone’s natural ridge contours and keeping the surrounding bone strong and open for future tooth replacement. First, we insert a substitute bone product into the opening in the bone. Second, we shape a covering and apply it over the site. Third, we suture the area and the natural healing process starts. Eventually, the substitute bone product is absorbed and the body replaces it with its own bone. When the area has matured, we can place a dental implant. Gingival Grafts: When too much of the root around a tooth is exposed, we consider doing a gingival graft. Gingival grafts are also called gum grafts or periodontal plastic surgery. A gingival graft is a surgical procedure where we take tissue from another part of your mouth and use it to cover a tooth root that is exposed. We do gingival grafts in order to prevent more root exposure, as well as to decrease tooth sensitivity and tooth decay. Your teeth need a strong support system of gums and bones. Our periodontal services make sure your teeth stay healthy and ready to bite, chew and smile. If you need more information about Periodontics in Hamilton, contact us today.